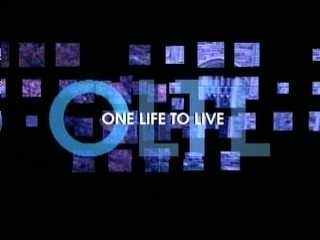 Many soap fans were happy to learn that Prospect Park had made a deal with ABC to continue cancelled soaps All My Children and One Life to Live online. Though the production has company said that the shows would “continue to be delivered with the same quality and in the same format and length,” many in the industry doubted that it would be possible to do do this using an online-only model. Some fans expressed disappointment since not everyone has ready access to high-speed internet. Now, word is that Prospect Park is shopping the soaps to cable channels as well. If a deal can be worked out, it’s expected that the episodes will air on traditional television after they’ve been released online, the opposite of how it’s usually done. Deadline didn’t report which cable channels are being approached but teases that they are “both big-tent, general entertainment networks and female-centered nets.” The article notes that Prospect Park execs already have a relationship with USA Network. Both soaps currently air on SoapNet but that will become Disney Junior early next year. Discussions are still under way with the actor and crew unions to produce the web versions of the soap operas at a reduced cost. All My Children leaves ABC on September 23rd and One Life to Live says goodbye to network television sometime in January. What do you think? Would you wait to see the soaps on cable or watch them sooner online? Both All My Children and One Life To Live should stay on a cable network like Lifetime or the Style network I hope they can work things out because I miss both soaps. I want to watch AMC on TV – don’t have high-speed internet!!! Please put this on one of the networks like SOAP, Fox, or something that all dish networks carry in their low-cost packages. Pleaseeee let us know when All MY Children and One Life to Live start back. I prefer cable over online but will watch either. ASAP OH my Goodness what is JR going to do?? Rather watch on TV…only reason to watch ABC now is Jeopardy! AMC has been part of my life since before I was married…am seriously mourning its loss. I think it would be awesome for another network to pick up the soaps. I too would rather watch it on TV,and whoever is smart enough to do it will be amazed how loyal we soap fans are! i have watched one life to live since it first started i was a teenager and i cant believe they are taking it off the air but thank you prospect park and i hope you find a cable tv station i would watch it online but prefer to watch tv abc ought to have their heads examined theyll see no one will watch there stupid new show the chew they are dumb. I would rather watch them on television since I am an All My Children fan from day 1. I don’t enjoy watching shows on-line. I still would like to know why ABC is cancelling these shows since there seems to be so much interest left in them. OMG CABLE AND ON LINE . No matter how improbable some of the plots become, AMC still offers viewers a human drama in the ancient tradition of storytelling. The demise of the soaps is a sad commentary on what daytime TV has become. I hope the continuation on a cable network becomes a reality.